Following last weeks fight between Daryl Dixon (Norman Reedus) and Beta (Ryan Hurst), let’s review the latest episode of The Walking Dead: ‘Scars’. However, with the show containing flashbacks throughout the episode, I’m going to review this in chronological order, starting with the flashbacks then working on the present day of TWD (The Walking Dead). Rick Grimes (Andrew Lincoln) and Daryl didn’t really see eye-to-eye at the beginning (in season one), largely because Merle – Daryl’s brother – was handcuffed by Grimes and left in the middle of a post-apocalyptic city of Atlanta. The flashbacks show how much they (Rick and Daryl) have grown to love each other and their strong brotherly bond: Daryl vows to never stop looking for Rick. I just hope he doesn’t fall crazy in love with Michonne (Danai Gurira): Grimes has already been through that once with his former best friend, Shane Walsh (Jon Bernthal) – we all know how THAT ended. The flashbacks also bring into the light why Michonne is very skeptical to let people into Alexandria: she doesn’t trust anyone because of Jocelyn (Rutina Wesley), her old friend. 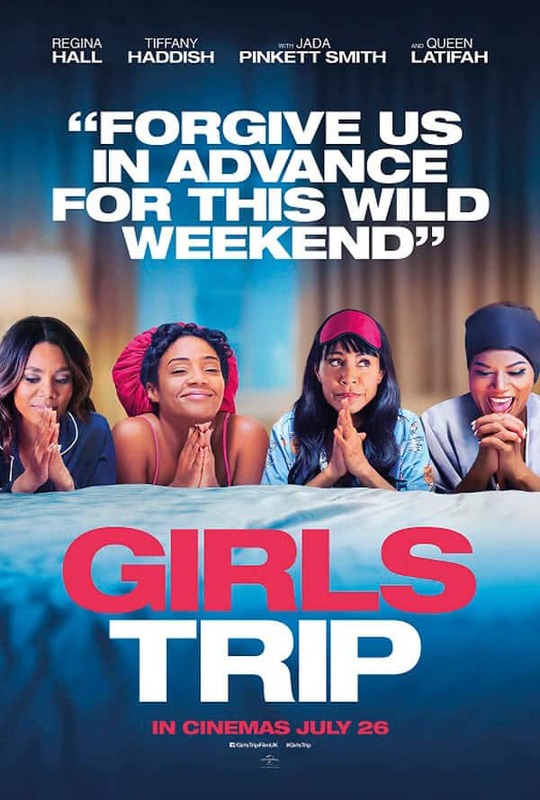 When Michonne and Jocelyn reunite, they travel back to her former hideout to collect the rest of Jocelyn’s group – some children and one teenager, acting like her second in command. As Jocelyn betrays Michonne’s trust and kidnaps the likes of Judith (Cailey Fleming) and other Alexandrian children, we see that she’s gone to some very dark places since Rick’s disappearance. 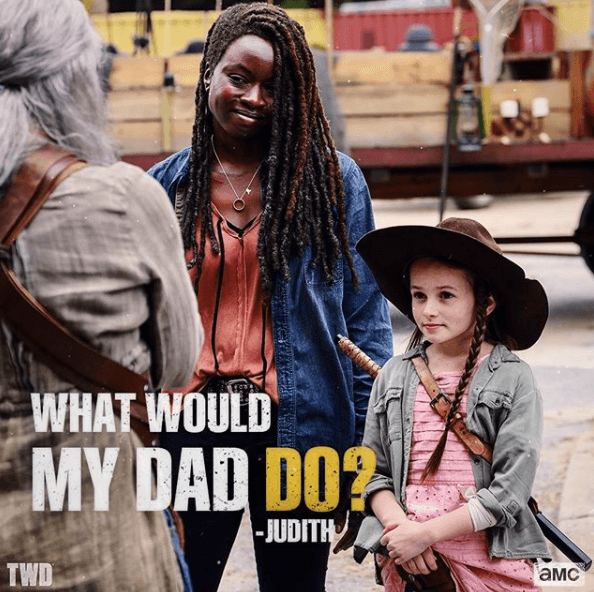 When Michonne tries to rescue the kids back from the clutches of her former friend, she is stuck between a serious rock and a hard place; she has to slaughter them to survive and save Judith from a pending execution. The clues during the present day added onto the mystery of the episode, such as the manhole cover permanently shut by the use of a metal bar stopping it opening; it is then revealed later on down the line as to why it is like that. Like the first episode of season six (the season that introduced Negan to The Walking Dead) the clever use of filters means you are able to distinguish the present day and the past without it hindering the story. Although it was basically an okay episode, it mainly contained filler. The flashbacks, to make more sense, could have been given their own episode to avoid throwing the viewer back and forth in time, like the Morgan (Lennie James) episode in season six, when it spent the entire time showing us how he learnt to use his stick in the way that he uses it today. Carrying on from the big fight between Daryl and Beta, Henry (Matthew Lintz) takes one to the leg from another Whisperer – this season’s big antagonist group. Arriving at Alexandria, we see that the communities, although they are friends, don’t get automatic entry to the safe zone. Because of events of the past, shown through the flashbacks, we see everyone that knows about Lydia’s (Cassady McClincy) history. As she is the daughter of Alpha (Samantha Morton), the Whisperer leader, there is a large amount of distrust. There seems to be a fear that history will repeat itself and/or The Whisperers will know about the location of Alexandria. Lydia and Henry’s complicated relationship is seeming to grow, but it does create a question that may not be answered until next season (or the one after that): if she has to choose between her mother and The Whisperers or the United Communities (Hilltop, The Kingdom and Alexandria), who will she choose? Her mother? Or her romantic interest? There are two things I want to see happen this season: the first is the return of Lucille; the second is Negan being ALLOWED out of his jail to help battle the Whisperers. I want to see Negan go… well, Negan on the Whisperers. Although I understand the reason behind why he isn’t being allowed out – smashing in the skulls of Glenn (Steven Yeun) and Abraham (Michael Cudlitz) and killing countless others was a bad move on his behalf – but c’mon! He has got to have repaid his sins by now! The majority of people in this world have had to kill countless amounts of people just to survive. His leadership, even if it was questionable, would be useful to help aid the Alexandrian Council as his growing bond with Judith might establish him as a fully fledged Alexandrian. However, this would be a massive gamble for the council in Alexandria if they allowed him to work with them and it’s very wishful thinking to imagine he’ll do as he’s told. C’mon though, if you have the tool to do the job, you don’t leave it in the box. This episode shows us that Michonne is recognising Negan’s and Judith’s growing friendship, but would Michonne ever be able to trust him again to have him as her second in command or advisor? The chat, although heated, seemed to be friendly and I, certainly, can see them working well together. Overall though, the episode in general was… Meh. It was basically filler, that’s it. The flashbacks could have been made into a full episode and would of done the same job as this episode did: fill in time for the build up to the end of the season. But I guess I understand, doing it this way it kills two birds with one stone by filling in some of the time jump and still driving on the Whisperer story arc. The cliffhanger going into next week seems to be more interesting than last week’s, with some Whisperers stumbling across The Kingdom. It is unknown if they tracked someone from Hilltop or Alexandria (although they don’t know the location for Alexandria) to The Kingdom but with two weeks to go it’s looking to follow the similar story in line with the comic: The Whisperers are planning to infiltrate The Fair and the season will most likely end with the boundary lines separating the Whisperers territory from everyone else’s. If you’ve read the comics, you will know what I mean.